Where quality of life is elevated | Where anybody can be a productive member of society throughout the entirety of their life | Where we sustain our planet while creating a growing economy | Where every individual is truly a global citizen. American research has long been the engine for the growth of our nation’s gross domestic product. 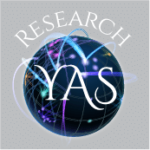 The YAS Research arm is 40 years old and continues its mission through the University of New Hampshire’s Broadband Center of Excellence (BCOE). This organization is an interdisciplinary academy designed to establish UNH as a global leader in maximizing the effectiveness of broadband technologies on commerce, innovation, competitiveness, and quality of life. Prior to its association with UNH, the YAS Foundation developed a Broadband Knowledge Center (YBKC) to conduct broadband research. That center has served as the platform on which the YAS Foundation and the university established BCOE. Dr. Rouzbeh Yassini (father of the cable modem) has guided BCOE to leverage UNH research, technology, outreach, and education to pursue universally available broadband that would also be affordable for the 3.6 billion people who are now lacking adequate broadband service. Weigh in on public policy and regulation through unbiased sharing of facts on broadband. The first study, led by Gopal Mulukutla, a research scientist at the Earth Systems Research Center within the Institute for the Study of Earth, Oceans, and Space (EOS), and assisted by EOS researcher Michael Routhier and Associate Professor Wilfred Wollheim, will devise, test and implement smart sensor-based wireless broadband networks to conduct water quality monitoring in Nashua, New Hampshire, and beyond. The team will implement a fully functional network at the Mine Falls dam and canal system in Nashua to isolate the timing and location of pollution sources. If successful, UNH intends to pursue commercial applications for detecting water quality problems around the world. The second grant, to UNH Professor of Physics Joachim Raeder and Nicholas Kirsch, Associate Professor of Electrical and Computer Engineering and Founding Director of the Connectivity Research Center, aims to build a “smart” magnetometer to sense space weather and transmit data over long distances and deploy hundreds of sensors to create an expansive research network in the Arctic.